T-Mobile hasn’t said much about its upcoming TV service lately, but today some new details about it have come out. Viacom has confirmed that it’s entered into a “significant content distribution agreement” with T-Mobile for T-Mo’s upcoming mobile TV service. 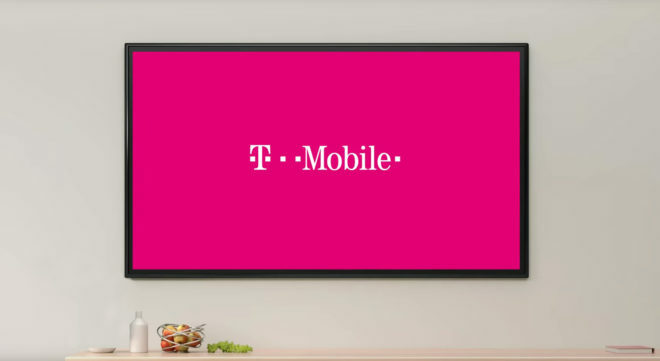 That means that channels like MTV, Nickelodeon, Comedy Central, BET, and Paramount will be a part of T-Mobile’s upcoming video service, which is slated to launch later this year. The deal enables T-Mo to offer live linear feeds of Viacom channels as well as on-demand content. Putting together bundles “5,6,7,8” dollars at a time is really not any different than Apple’s recent approach, and several before them. Looks like more of the same is coming. The only advantage may be a decent discount for being a T-Mobile customer. The problem is with data caps on home internet for many, streaming only for TV needs is not feasible for most and if T-Mobile does indeed sell a 4g/5g LTE box with unlimited use they’re going to seriously need infrastructure upgrades in many many areas. I average about 15-20 Mbps at my home from T-Mobile and that sure isn’t replacing my home internet anytime soon. Yea Tmo has that issue on cell data Great when everyone sleeping or nite work but durning day congestion big time speeds super slow not in all areas but most.. Most of my work shifts are 7a-7p, data works just fine during the day in Houston. I have no issues with problems here in western washington i always have great service 97% of the time. I don’t think you are the target that TMO is going for. There is areas where I live in MN that has nothing but DSL or slower. In those areas I can get 100mbps+ on my phone. I have 1g mediacom service but if Mediacom wasn’t here, I would be stuck with Centurylink with 25mbps or slower. Those are most likely the areas that they want to target first I am sure. I agree with that. I was talking more long term. I would love the day I could tell Comcast where to go and have a steady 200 Mbps into the house that’s truly unlimited and have multiple companies trying their best to win my money. I think it’s going to be years until we see that available all over. Of course by the time that happens a 2 gig line will be the norm I’m sure. Exactly. And if you haven’t yet connected the dots, Verizon, AT&T and T-Mobile are all focusing on CenturyLink’s territory and customers because CenturyLink hasn’t yet figured out an upgrade path except to *ignore* customers that aren’t B2B. Unfortunately, that’s not going to happen until more spectrum is made available for TV broadcasters so they can leverage ATSC 3.0. I’ve had youtubeTV for a while now. I’m quite pleased with it.